The survey also found that a shortage of graduates with surveying qualifications in construction will materialize by the middle of next year. The SCSI said that while employment in the property and construction sectors fell by 56% between 2007 and 2011 – with the construction sector hit hardest – employment in both sectors is returning to growth and is likely to increase in the coming years. The key elements in the shortfall is the huge drop off in graduates enrolling on property and construction courses after 2007 and a recent pick-up in activity levels in both sectors, especially property. Between 2007 and 2011, construction surveying employment fell by over 60% with graduate surveying alone falling by 81%. Roland O’Connell, President of the Society of Chartered Surveyors Ireland said “Undoubtedly, employment in the property and construction sectors has been severely impacted by the recession and as a result there was a sharp decline in CAO applications for property and construction degree courses in recent years. “This has led to a situation whereby there is already a shortage of graduates coming into the property sector to meet demand by employers as the residential and commercial property markets stabilise and activity increases. While the findings are good news for students who are just starting property and construction courses, it is a real concern right now for employers who need to recruit graduates in the short term as industry activity increases in the coming years” he said. O’Connell said that a similar situation is likely to arise in the construction sector in 2013 as both construction projects to meet the demands of foreign direct investment and the €2.2bn government stimulus package to build schools, health facilities and roads, begins. O’Connell referred to the current situation in the I.T industry which suffered a significant reduction in graduates arising from the Dot-com bubble and which is currently manifesting in a lack of available graduates as reported by the high-tech firms. 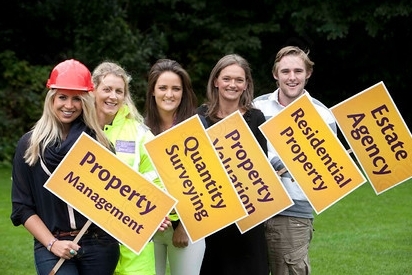 “While we do not expect, or wish for the property and construction sectors to return to 2007 levels, it is imperative that there are sufficient numbers of graduates coming into the industry to fill the available roles as the sectors return to ‘normal’ levels of activity for an economy of our size”, O’Connell concluded.